Ships from Hong Kong. 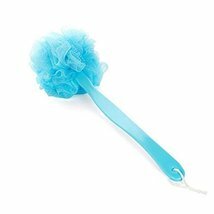 The size of the brush is 41 cm/16.1 inch. 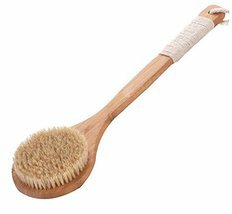 The bath brush comes with sturdy handle, made from bamboo. There is no need to twist your arms to reach the back part of the body. 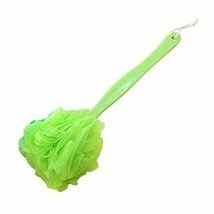 Easy to clean and quick to dry, it will glide smoothly and would not scratch your skin. 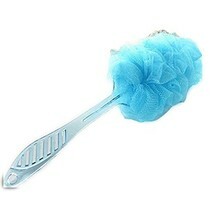 Say goodbye to dead skin cells and hello to soft, smooth skin brought to you by this body bath brush with long handle!